What’s the problem with promo codes? Also called coupon codes, voucher codes, offer codes or discount codes, promo codes are popular sales incentives offered by online retailers. They are also one of online marketing’s biggest profit eaters. Discounts applied against merchandise or shipping charges reduce margin, and if associated with affiliates, reduce margin further as commissions are paid out. Not only that, but showing a coupon code box on your shopping cart page or in your checkout may prompt customers to search for codes in search engines (often finding them from your affiliates). Commissions get paid out to affiliates that never referred the sale in the first place. Even worse, you condition these customers to never pay full price again. Nevertheless, there are ways retailers can minimize the damage of promo code entry box visibility, while still offering promo codes. 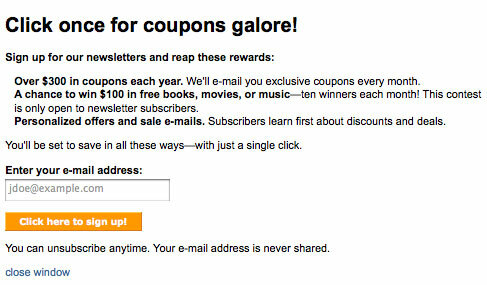 Some retailers suppress the coupon entry field for visitors unless they have arrived via an affiliate link or email campaign. These visitors are identified by a URL parameter which is stored in the shopper’s session. At checkout page, the parameter is looked up and the discount is either auto-applied or the entry field appears for the customer to fill in. Private promo codes are sent only to select individuals rather than shared with affiliates, social networks or posted on coupon sites. They are associated with an email address or account profile and may be single-use or ongoing. Since they can’t be shared, there’s no risk in showing the box in checkout – there will be no offers to pinch off coupon sites. 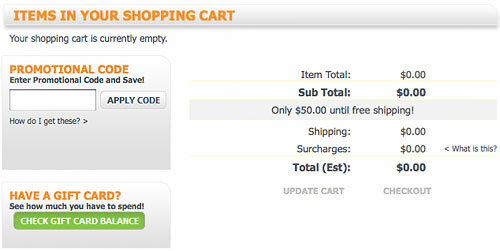 Office Max cleverly places a link saying “how do I get these?” below the promotional code entry box. 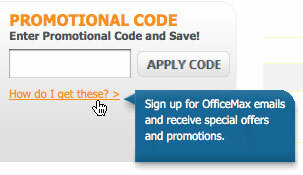 Hovering over the link explains you can sign up for Office Max emails to receive promotional codes. Alibris does one better by providing the ability to enter an email address right on the page, as opposed to Office Max which makes you hunt for the email subscribe area. As I mentioned in The SEO Tip Online Retailers Still Are Not Taking Advantage Of, creating your own coupon code landing page is a great idea. Alan Rimm-Kaufman had an idea to use less common verbiage like “voucher code” (common in the UK but less common in the US) to throw off shoppers. Voucher sounds like it might be something you can’t find on a coupon sharing site. “Offer code” and “rebate code” are alternatives to try. There’s no cut-and-dried solution for the problem, and for most retailers, it’s not an option to ditch the coupon box entirely. These ideas are ways you can minimize the damage. 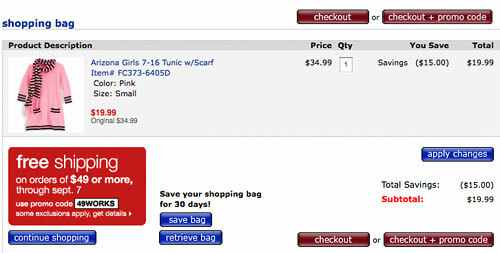 On the flip side, JC Penney’s approach of offering “checkout with promo code” as a call to action maximizes the damage. There’s no cut-and-dried “best practice” approach to handling promo code boxes, but effort should be made to reduce the damage. Why not try one of these 6 ideas? 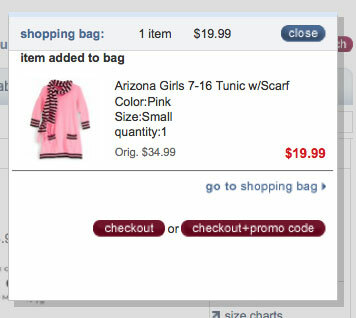 Previous articleCross-Sell a Product With Itself to Improve Conversion? Next articleWhat is the Ideal Checkout Login?